The main barrier to success in export markets, was the Bagheera’s build quality, or to be more precise, the lack of it. In Germany, especially, it was held back by this, and those that were sold in Northern European markets, soon suffered from rusting spaceframes. Also buyers demanded more power, and even though the Bagheera S could deliver a fair turn of speed, it could not be described as a fast car. So what Matra needed, was a ‘new’ Bagheera, built to higher standards, with improved resistance to rust, and larger engines. Essentially, that was how the Murena came to be: project M551 was defined as an evolution of the Bagheera, and was soon built around the existing structure. The engine decision came later, but the it was decided to equip the M551 with a 1.6-litre version of the Bagheera S engine (as later used in the Alpine and Solara), but also the 2.2-litre development of the Chrysler 2-Litre unit (later to be found in the Tagora). The engine situation was still fluid at the time that Chrysler Europe became part of PSA; and so, Matra set-about investigating options within the PSA range. For the larger version, the 2-Litre joint-venture (Peugeot-Renault) Douvrin engine (so-called because it had been designed by Française de Mécanique, and built at a factory in Douvrin) looked good. Being all-aluminium, it was somewhat lighter than the existing “Chrysler” lump, which would have beneficial effects on the car’s handling. However, Renault vetoed the plan, as the company feared that the Murena amounted to too-effective competition for its upcoming Fuego model, which would also be receiving a Douvrin. Publicity photo of the Murena at home on the Autoroute. Directional stability and lack of wind noise at high speed were plus points, but it was also pretty effective on twisty roads. Even though it was offered with a 2.2-litre engine, the chassis still cried out for more power. Body engineering was similar to the Bagheera: a plastic outer-skin, comprising of a mere twelve panels was fitted to a heavy and rigid steel spaceframe. Importantly, the Murena’s spaceframe was completely galvanized, thus ensuring that history did not repeat itself – and Matra backed that up with a six-year anti-corrosion warranty. The rear suspension comprised of MacPherson struts, but at the front, the Alpine/Solara’s torsion bar set-up was used. Power was definitely up, compared with the Bagheera: the 1592cc version boasted 92bhp, whilst the 2156cc version (ironically, an identical capacity to the 2.2-litre Douvrin) put out 118bhp, but much more torque. To answer another oft-repeated Bagheera criticism, both Murenas came with five-speed gearboxes as standard. The Murena was launched in September 1980, and found itself sharing the spotlight with the new Tagora. However, journalists would have to wait some months before they would be able to get their hands on it, as Talbot's ambition to show it at the Paris Salon outweighed the desire to present a finished product - it was probably not coincidence, that Renault unveiled the Fuego at the same show, and Talbot management felt that the Murena possessed more than enough style to overshadow it. The Murena did make a favourable first impression, and most journalists couldn't wait to get their hands on it. Sadly, that would not happen until the following Spring, thanks to the need for Matra to cure a last-minute bug, in the shape of an oil starvation feed problem in the 2.2-litre model.However, the conclusions drawn by journalists after their first drives were mixed. As was to be expected, the styling and accommodation of the Murena were praised, and the its handling was particularly lauded, but there was unease about price and performance. Despite offering 118bhp in 2.2-litre form, most felt that the Murena simply was not fast enough. In his report in CAR magazine, LJK Setright made some not-too favourable comparisons between the 2.2-litre Murena and the Volkswagen Scirocco GTi. Straight line speed was the issue, and given the profusion of newly-launched hot hatchbacks, coupés such as the Murena were being left behind. 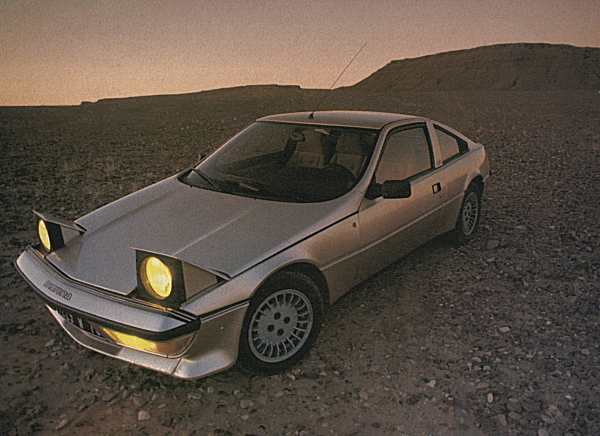 In terms of pricing, the Murena was no bargain either: comparable coupés such as the Alfasud Sprint and Scirocco were considerably cheaper, similarly priced cars, such as the Porsche 924 and Alpine-Renault A310 were faster. The Murena might have been able to run rings around any of these cars on a twisty B-road but in the minds of most, this was not enough.Interior was as idiosyncratic as the Bagheera's: a kitsch 1980s makeover of a 1970s classic! Stung by such criticism, Matra developed an uprated Murena 4S model (“4S”=quatre soupapes, four valves). Based upon the standard 2.2-litre model, the Murena 4S sported a clever 16 Valve head, which upped the maximum power to a much more respectable 180bhp. The gearbox remained unmodified, and apparently had no trouble handling the extra power, and in testing, the 4S model proved impressively reliable. To differentiate the 4S from the standard model, Matra developed a suitably extrovert bodykit (which included an aluminium targa-top, wider wheel arches and spoilers, front and rear). Performance was boosted accordingly, and in testing, the Murena 4S could reach reach more than 140mph. When presented with the 4S in November 1981, Peugeot management would not approve it for production; no doubt struggling with the bigger issue of the logistical nightmare of trying to manage three marques, all with overlapping models. Matra did not give up on the idea of a faster Murena, but Peugeot would not play ball: a promising V12 designed by André Legan was passed over after not progressing far beyond the drawing board. A version powered by the 2.9-litre PRV V6 engine (Tagora, Volvo 760, Peugeot 604) was similarly vetoed. A final attempt at getting Peugeot to approve the 4S for production in fuel injected form also proved fruitless. In the end, Peugeot relented slightly, by allowing Matra to market an aftermarket tuning kit, which boosted power to 142bhp. The hike in power was achieved though a more aggressive camshaft and a four-into-one inlet manifold feeding two twin-choke Solex carburettors. As this was an aftermarket conversion to be fitted by a Talbot dealer, the cost implications of the upgrade further added to the financial burden of purchasing a Murena (the S kit took twenty-five hours to fit). Thankfully, performance was now in keeping with the Murena’s sleek looks, and in a straight line, it could keep a Porsche 944 honest. 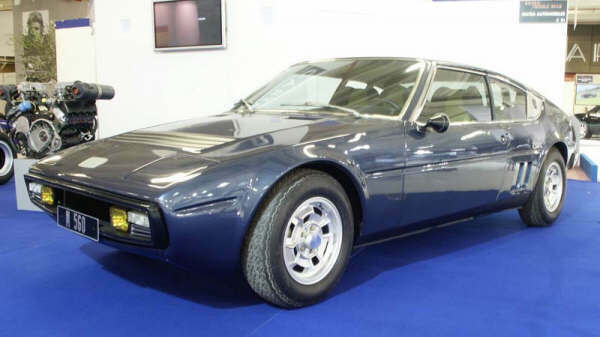 Sadly, Matra had only one production line capable of producing the Murena (thanks to the galvanization process), and this kept production at a lower level than desirable. 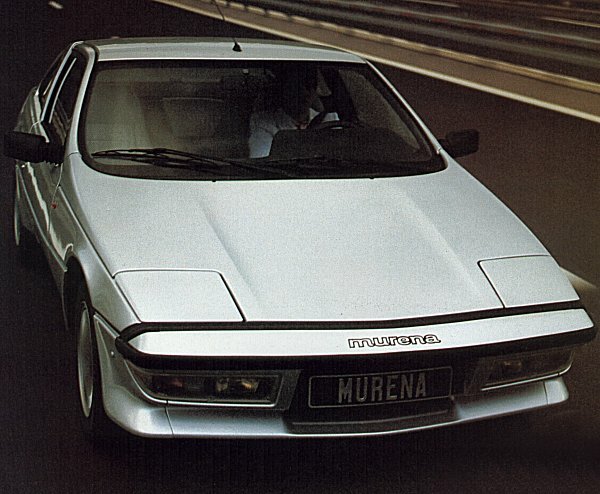 Therefore, Matra decided to wind down production of the Murena. In the end, the 142S kit became a factory option (to use up the remaining chassis and body shells), and the Murena-S became a full-time member of the family in June 1983. ..and with that, one of Europe’s most innovative line of sports cars was no longer. 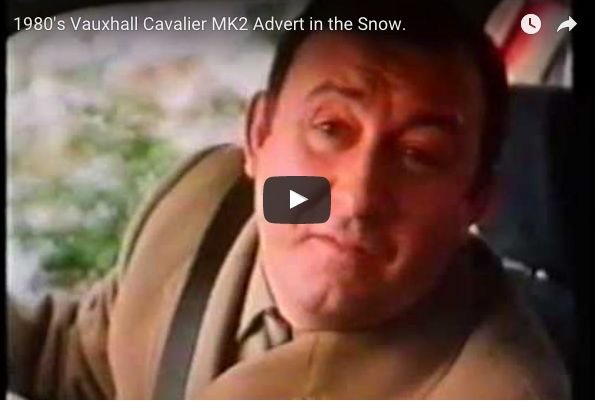 Should PSA, Matra or even Chrysler be held responsible? Probably a combination of all three, plus the changing demands of performance car buyers. During the early 1980s, the hot hatchback was the car to be seen in; and one can see that the ownership proposition of a good GTi was a compelling one. The Volkswagen Golf GTi and, later, the Peugeot 205GTI showed us all that you could have it all: a thrilling drive, sharp looks, and practicality. The Murena offered all of these qualities, too; it could seat three, it’s boot was much larger than you would imagine, and once the Lancia Monte Carlo disappeared, it was clearly the best-looking mid-engined real world Coupé available. However, it was too slow. 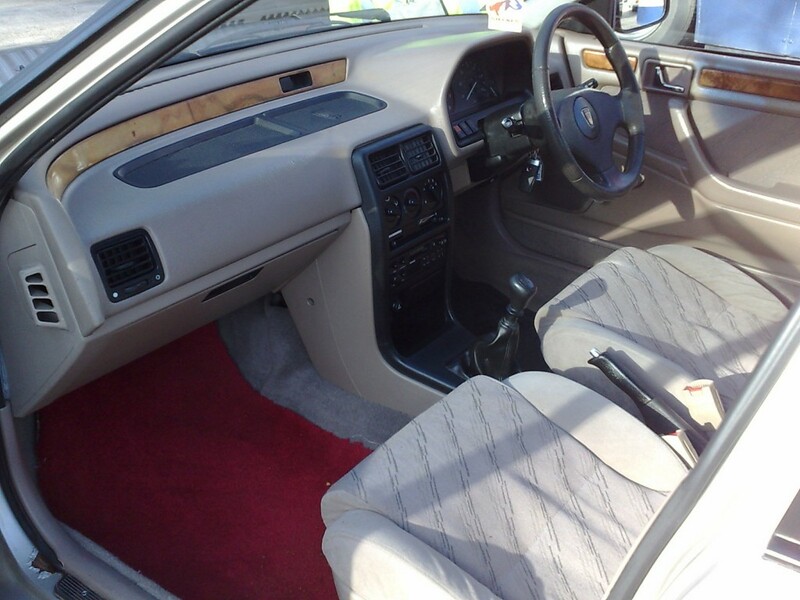 This might have been acceptable in an inexpensive car like the Bagheera, but not in one as expensive as the Murena. Sadly, the Murena was never replaced. Apart from the homologation special Peugeot 205 T16, PSA never produced another mid-engined sports car… and given the re-emerging popularity of the sports coupé during the 1990s, it seems the company missed out big time. Both the Bagheera and the Murena had monocoque chassis, not spaceframes. Whilst it’s true that LJK Setright called for a more powerful Murena, he loved the car – his driving impressions were published in Car magazine under the heading ‘Murena the Marvellous’. The Murena 4S did not have a targa roof of any sort – you’re thinking of the Chimera, a targa-roofed Murena made by French coachbuilder Chapron. Incidentally, only two 4S prototypes were made. One – blue with green badging – had the revised body and the other – two tone yellow and black – had the 176 bhp engine. Both still exist (in excellent condition) today, but the yellow/black car now has an S engine fitted – the 4S unit isn’t homologated for road use in France. The 4S powerplant can, however, be seen at the Espace Matra Automobile in Romorantin, along with a great selection of Matra road, racing and prototype cars. As far as I know, the 4S engine was always intended to be fuel-injected. 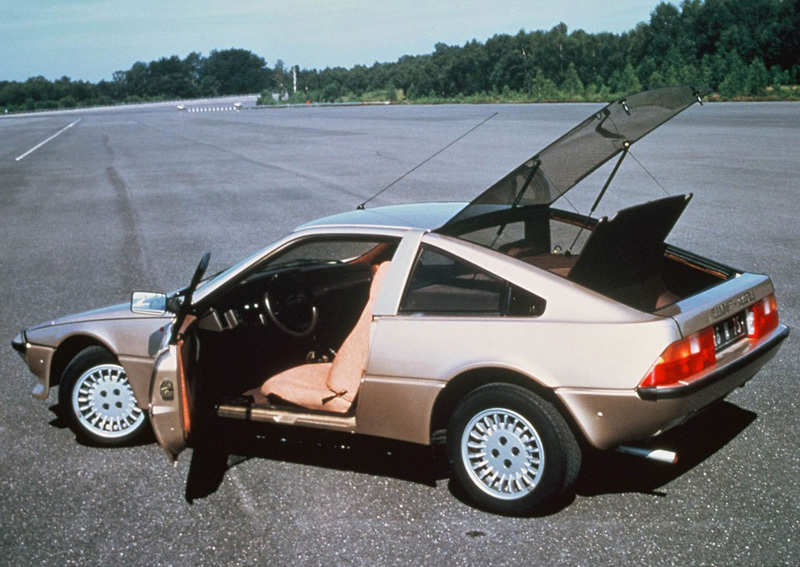 Finally, the relatively low production of the Murena was due to a bottleneck at the Matra factory, but rather to the fact that it simply didn’t sell as well as had been hoped for. A great shame, as it offered a fantastic driving experience in addition to a very exotic shape. One more correction: Matra won Le Mans in 1972 as well. 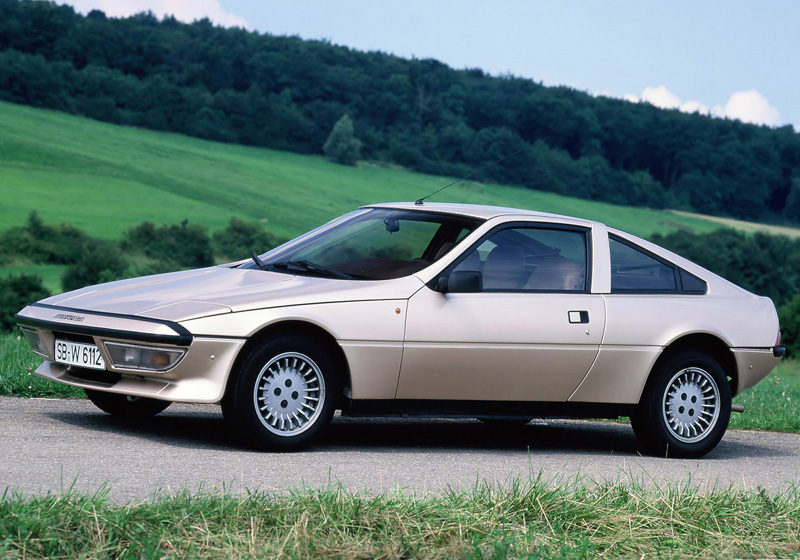 In retrospect would the Matra Murena have been better off using the existing Simca Type 180 or the Douvrin units? A GRP specialist once told me that the quality of the body panels was much better in the Bagheera than in the Murena. Bagheera panels had a tendency to fade under UV exposition but could be easily fixed and repainted. Murena panels developed cracks in the gel coat with age and could be repaired only with a lot more effort. Murena GRP also cracked much more badly under mechanical stress. Shame it was not around to receive the turbo version of 2.2 simca engine that went into the 505 and BX. It’s a shame the PRV V6 version was vetoed.